Quite a few years ago (more than I would like to admit) I had lunch at The Real Greek with a friend. As you can guess from the name, it’s a Greek food restaurant with a number of locations across London. I was in my first job after graduating University and still regularly went back to Cyprus (as much as annual leave would allow!) but I was craving ‘home food’ and came across The Real Greek. But I was disappointed. I felt it was fairly expensive for rather small portions compared to what I was used to at home, and therefore didn’t go back again. 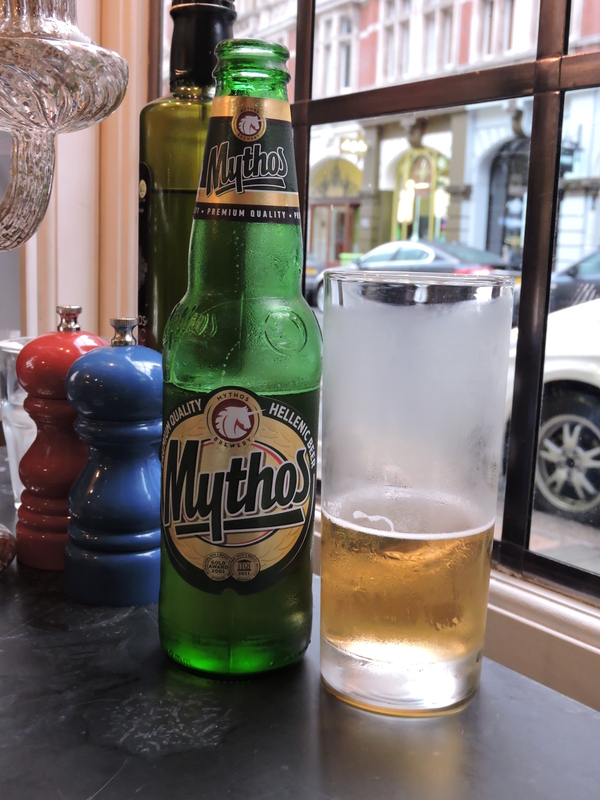 However, I was kindly given the opportunity to visit The Real Greek on St Martins Lane in Covent Garden and definitely wanted to give it another try. The lovely Sophie of Sophie Loves Food (check out her blog, her amazing baking will give you serious sugar cravings!) joined me and we were seated in the candlelit window seat. I must apologise that the photos aren’t the best quality – despite being in the window, it was still fairly dimly lit in the restaurant. 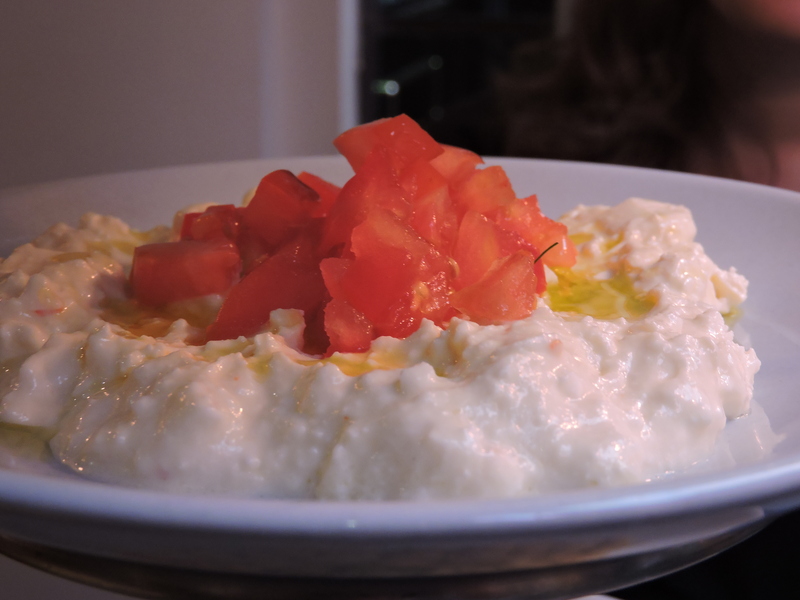 Tirokafteri – a spicy cheese dip, served with fresh, chopped tomato. 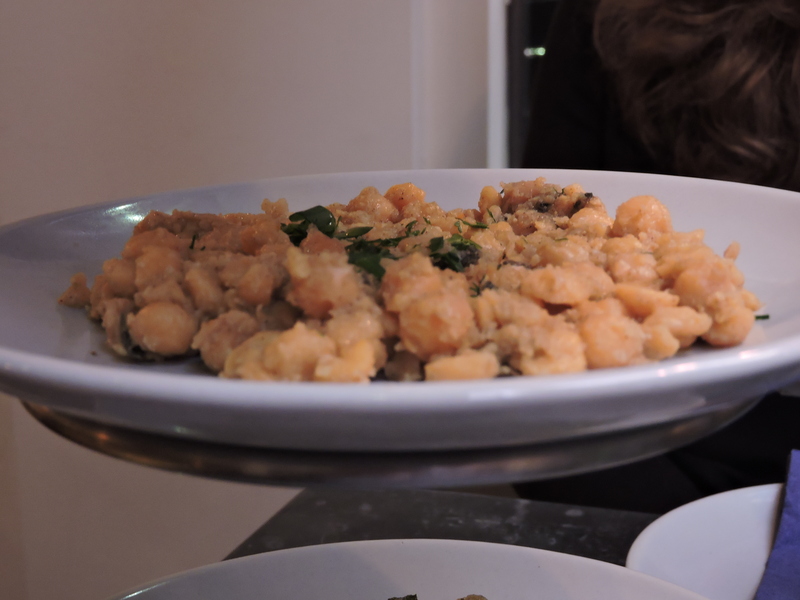 Revithia – chickpeas served with herbs, olive oil and lemon. 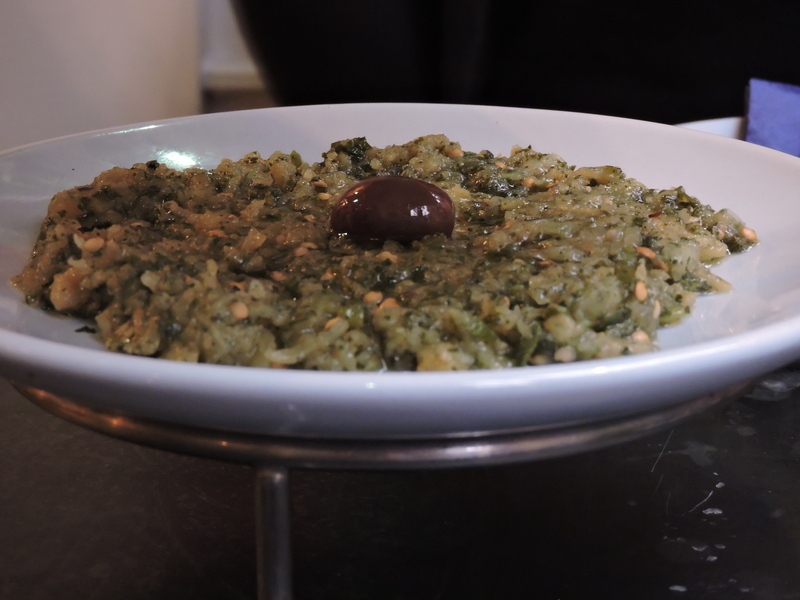 Melitzanosalata – Smoked aubergine, garlic, shallots and lemon. 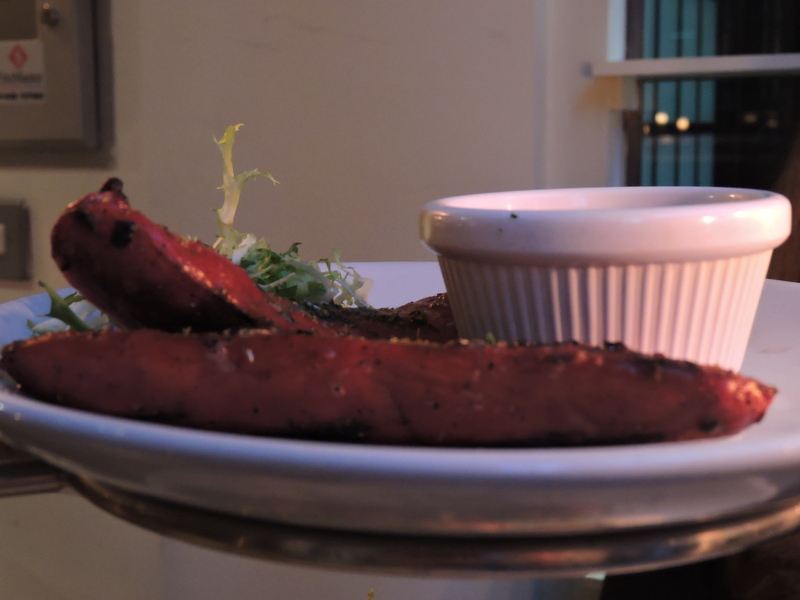 Loukaniko – greek beef and pork sausage, chargrilled and sprinkled with oregano, served with smoked chilli relish. 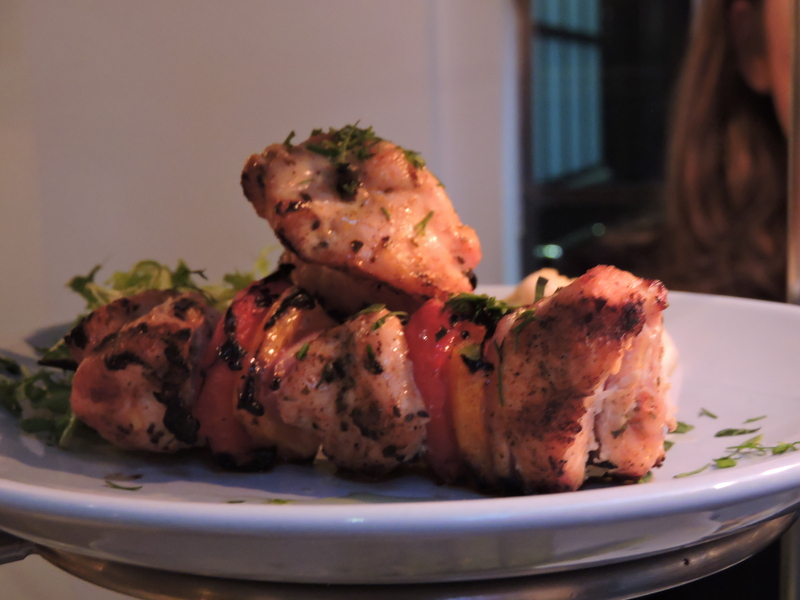 Chicken Skewer – served with onions, peppers and preserved lemon mayonnaise. 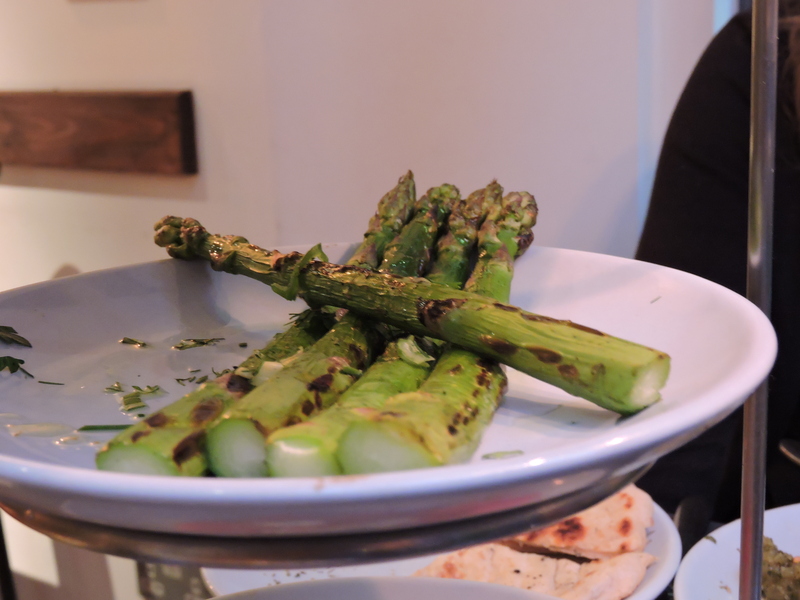 Asparagus – dressed with olive oil, Greek honey and Kozanis saffron. This was nicely done, although I would have liked a bit more honey! I think they need to get some in from my faves, P S Lambis! Greek Filo Custard Pie – a traditional dessert from Sérres, North Greece, called Bougatsa. with vanilla ice cream. I’ll happily ignore the fact that this dish was a whopping 958 calories! 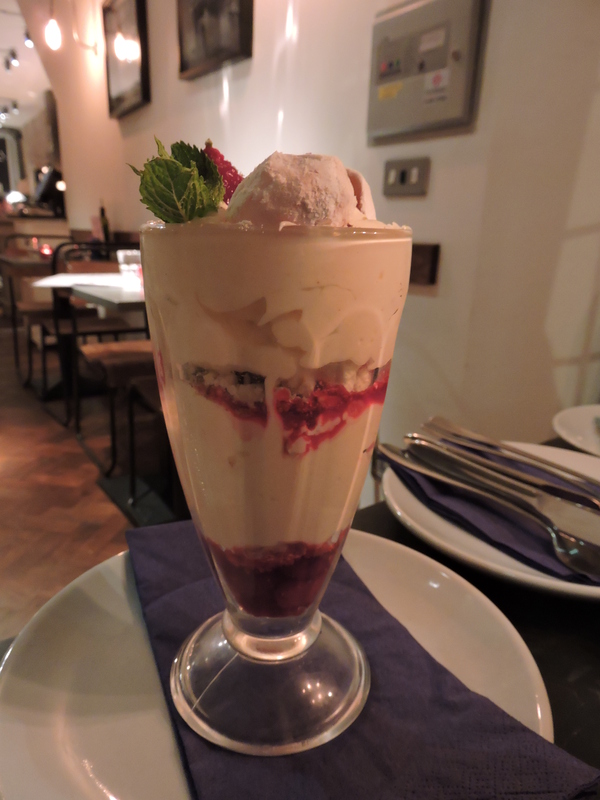 Tonia’s Pavlova Greek Yoghurt Sundae – layers of meringue, raspberry and Greek yoghurt flavoured with rose water and loukoumia. 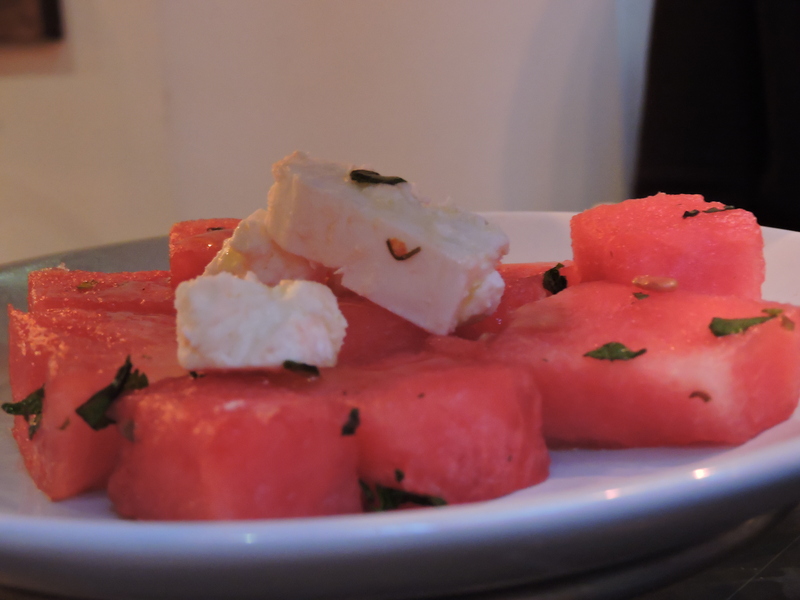 As you might have noticed from the name, they have teamed up with TV celebrity Greek chef Tonia Buxton to create some of the dishes on their menu, this being one of them. 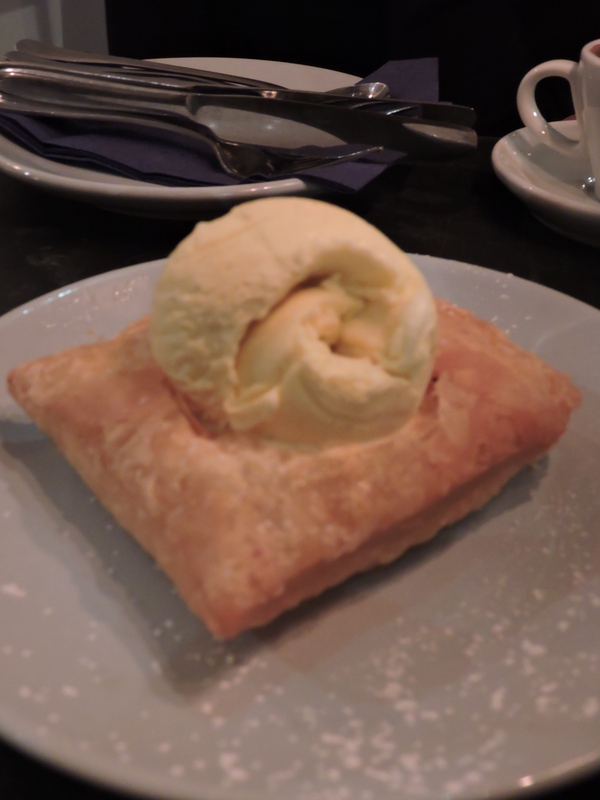 To summarise – I’m really glad that I went back to The Real Greek again! Sure, the portions were smaller than you would be served in Cyprus or Greece, but they were still plenty big enough. If anything, a larger portion would just have gone to waste, so I’ve definitely changed my opinion in this respect. I’m still not sure about the way the plates are served (in a ‘tower’, a bit like Afternoon Tea) but this is just personal preference. And in terms of the price, again, it was a bit more than I’m used to at home, but it needs to be put into perspective. We’re not in Cyprus, we’re in London, where things clearly cost more, which is what I struggled to get my head around previously. 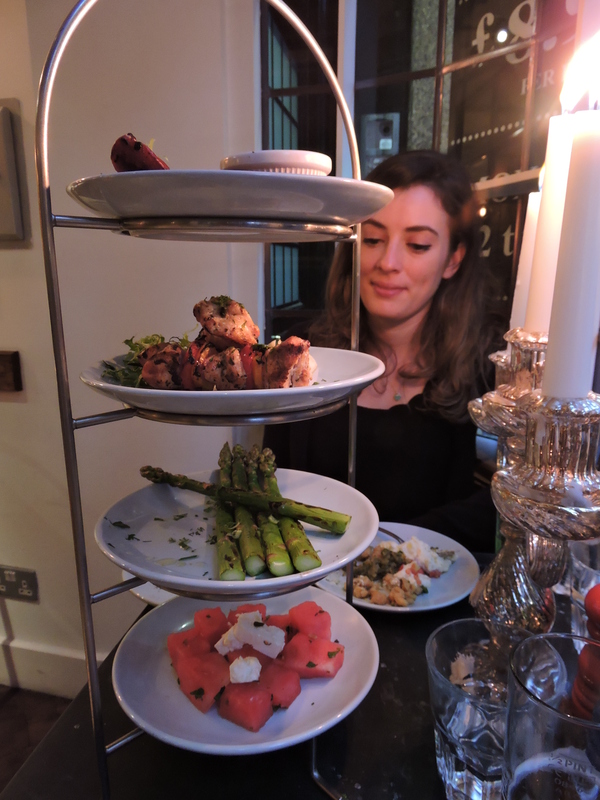 I wouldn’t necessarily recommend taking a Greek person to The Real Greek, as I think they’d have a similar initial reaction to me, but for anyone who appreciates Greek food and is accustomed to British prices, it’s great! But portions and prices aside, the important thing to highlight is the food itself. Because it’s very good! It’s not trying to be fancy and offers all of the Greek dishes you would expect, but it was nice to try some new things too. What I love about Greek food is that the ingredients are simple but fresh and full of flavour (and a lot of meat!). I love that scene in My Big Fat Greek Wedding where the family are appalled to learn that their new son in law doesn’t eat meat, but come up with the solution that they would cook them lamb instead! I’ve pretty much heard this exact conversation taking place before, so it always makes me chuckle. Having said that, Greece also has some of the best veggie dishes I’ve ever tried, with lots of beans, cous cous and cheeses. So if you’re new to Greek cuisine, The Real Greek could be an excellent introduction, or if you’re a Greek food fan, it will have everything you’re looking for. It might not have the same cosy feel of a family-run restaurant (and less plate smashing! ), but for a chain, it’s doing a very good job! I was invited to review The Real Greek by Lightbrigade PR and The Real Greek but did not receive any payment. All views are my own.